My passion for the education sector was born during college as a business student. I volunteered at an elementary school in an underserved area of Los Angeles. The work was chaotic and exhausting, yet undeniably rewarding. There was something special about the kids’ ear-deafening “thank-you’s” and hand-stinging high-fives. I thought back to how carefree and safe I had felt in elementary school. I was happy they were experiencing that same euphoria, but I soon discovered that I was doing more than simply volunteering– I was actually helping to fill a teacher position that had been vacant for over five months. My time in their classroom pushed me to pivot from my original career plans and sparked my desire to work toward education equity. I joined Teach For America as an opportunity to impact students’ lives. I also really started to understand the harsh realities that public schools face. However, it was disheartening to see how the effects of fiscal mismanagement at the district permeated into classrooms and hindered student growth. Because of the budget cuts, having a sufficient supply of paper and reliable printers became a daily challenge for me. Consequently, my conversations with fellow teachers have revealed that these very problems are driving them out of the district, contributing to low retention levels. I need a voice in the budget process because I want to ensure that I am provided with adequate resources that will allow me to optimize student learning. There is a conversation I have had so many times with so many different people, from family members to guidance counselors: why did you want to leave Australia to work as an educator in America? I vividly remember a conversation I had with my cousin’s girlfriend’s parents in December when I was visiting my family (a time when a lot of these types of encounters occur), who struggled to understand why I would want to work as a teacher in America, where “there are no resources and you get paid half as much”. Upon reflection, I realized quickly that I had actually not considered the financial challenges of teaching and those of school districts when deciding to study elementary education in college, or when choosing a district in which to teach. So, after beginning to teach in Oakland Unified School District, I was surprised to learn of the financial struggles the district has faced historically and those restricting growth in the future. I realized quickly that my intentions to engage students in meaningful learning experiences was dependent on a system that is financially stable. The unpredictability of the budget has negatively influenced my ability to provide students with the tools they need to be successful; basic supplies, experience-based learning, and collaborative teacher planning time are provided scarcely, if at all. While I still consider myself by no means an expert in financial matters, it is clear that leveraging our pedagogical expertise in budgetary discussions is crucial for ensuring that student learning is placed at the center of any spending. I need a voice in the budget process because I have seen the power of a fully-funded classroom in empowering student growth, and believe our students deserve that opportunity. Teachers, with all the experience we hold and all the expertise we possess, need a voice in the budget process. None of us are in the profession for the money, but all of us feel the stress of limited resources in our classroom. At the most basic level, lack of school supplies prevent teachers from delivering high quality instruction. Field trip funding is unheard of and arts opportunities are scarce. On a systems level, this added level of stress and instability may lead teachers to make the decision to leave the district, continuing the cycle of turnover. These trends result in lower revenue and higher costs associated with attrition. While it is by no means a teacher’s job to create a district’s budget, it is vitally important that we give our voice to the creation of a more effective budget process.This is why we chose to spend our years as Teacher Policy Fellows working on the Budgeting for Impact Campaign. We learned that, as with our work in our classrooms, there exist best practices in school district budgeting. The Smarter Schools Spending Framework, created by the Government Finance Officers Association, compiles best practices from districts across the country into a comprehensive set of recommendations for fiscal sustainability. While many of the recommendations, including greater communication among departments, transparency for all stakeholders, and funding based on set priorities, seem intuitive, they are not currently the status quo for the Oakland Unified School District (OUSD). Recently, the school board adopted the framework, and ensuring full implementation will help to demystify the district’s financial situation with transparency, long-term planning, and increased accountability. Positive change will only happen with thorough monitoring of how the current practices change now that the resolution has been passed. These changes allow for teachers to have a greater understanding of where the district’s money is being spent and for what purpose. Effective long-term planning of the budget will allow for a collaborative process between teachers and the finance staff, ensuring that every aspect of the plan is properly communicated to all stakeholders. Oakland teachers are held accountable for so many aspects of their students’ education. 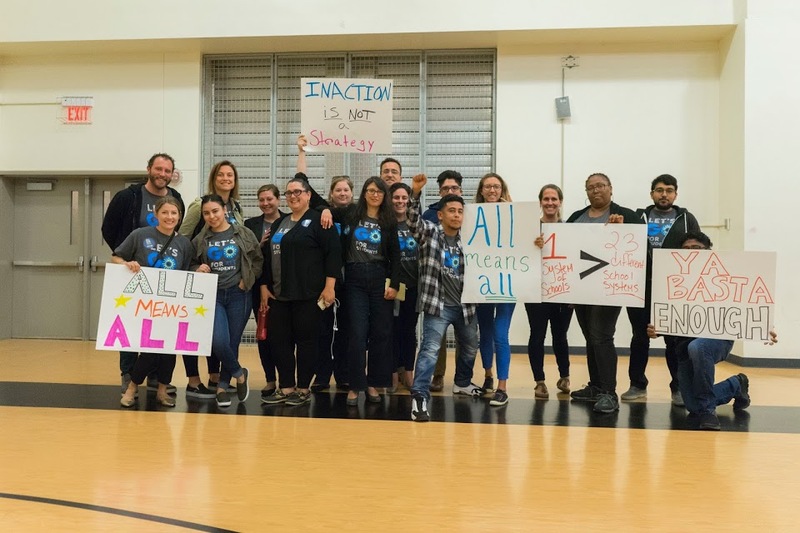 It is time for those making the financial decisions for OUSD, and the departments that receive funding based on those decisions, to be held accountable for their role in accomplishing these goals as well. 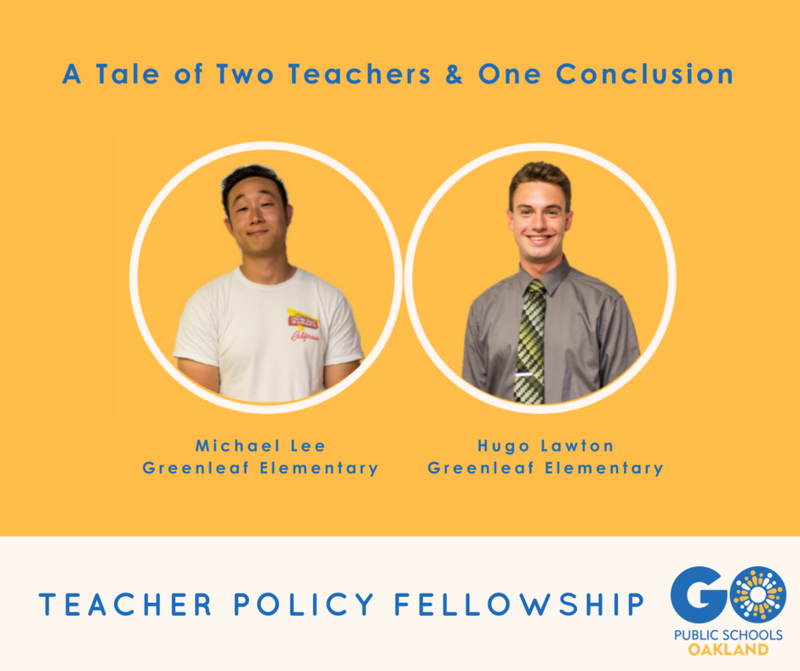 Teachers, like us, who want their voices valued in the creation of the budget, should attend the Teacher Policy Fellows’ Call to Action event on May 31st where we’ll start building a movement of budget savvy educators! Click here to RSVP!